It only takes a second to die or to kill someone! If you’ve been injured in a car accident, through no fault of your own, you may be entitled to far more than you think. One of the biggest personal injury cases is car accidents and Northeast Philadelphia attorneys have seen their fair share of them. 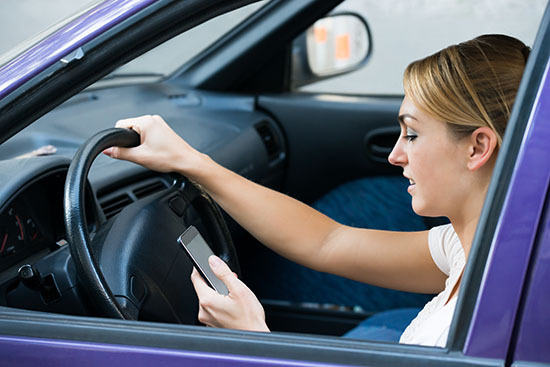 Ever increasingly, in the case of car accidents, are accidents created by someone texting and driving. It has become so common, especially with young people, that the penalties have become just as steep as driving while under the influence of drugs or alcohol. When a driver is texting, they aren’t paying attention to the road or anything else around them. This negligence can lead to severe injury to someone in another car or on the street. Their senses are impaired just like driving under the influence. When someone texts while they are driving, they may think they have the situation under control. The truth is, even taking a few seconds to look down at a text can be enough time for his or her attention to go back to the road. These few seconds can lead to an accident, injury or even death. That is all it takes, a few seconds of not paying attention. This loss of focus is the same as someone drinking and driving. It causes impairment and can have very damaging effects. Driving under the influence is steadily being outnumbered by texting accidents. Law enforcement views erratic behavior when someone is texting as the same when someone is driving under the influence. And if they see this erratic behavior, they will act on it. The consequences to both can be very hefty. Many states have already made texting while driving illegal. It only takes a second to cause an accident. That second it takes you to look at your phone and look back up is already too late. On March 8, 2012, Pennsylvania became the 35th state to ban texting while driving. It is a primary offense, which means a police officer can stop drivers for texting behind the wheel without another violation occurring. The fine is $50. And law enforcement is acting out on this driving offense. The $50 penalty may not be a big deal but to law enforcement, making a person aware of the law and trying to educate them on the dangers is worth pulling someone over who is texting and driving. They hope they can save lives through education. If you have been injured by someone texting while driving, contact a Northeast Philadelphia attorney immediately. You are entitled to receive compensation for someone else’s negligence. Deciding to text while driving may not seem like a big deal, but that few seconds someone takes their eyes off the road can have detrimental effects to everyone in their path. The team at Martins Mill Legal Center specializes in personal injury claims and auto accidents are their number one claims. They know the effects that someone else’s negligence can have on an innocent victim and they are here to help. Contact the Martins Mill team today.